Learn With theory and output of above examples. public int pubB; public CChild() //First calls parent class constructor. 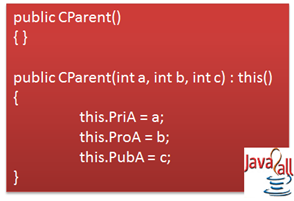 //p.ProA = 10; //Compilation Error because “p” is of type parent. Learn Constructor overloading in java with theory and examples.